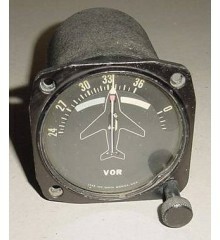 3 1/8" Vintage DC-3 / C-47 Skytrain Glide Path / Localizer Indicator as shown on photo. 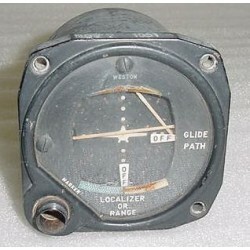 Manufactured by Weston Electric Instrument Corp. Model 888. Type 3Z2. Sold for display only, as is, no returns.